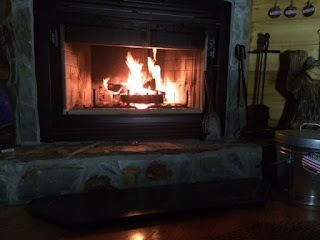 For weeks now, we've heard a squirrel (or squirrels) rumbling around behind the pre-fab fireplace in our cabin. 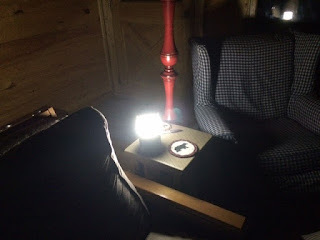 Tonight, one (and hopefully the only) squirrel managed to get inside the metal fireplace box, and then worked his way into the living room. 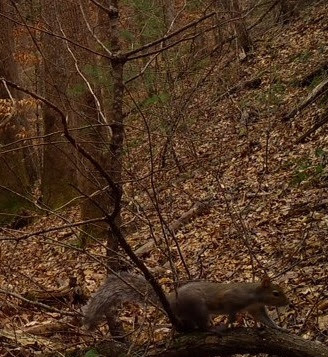 Squirrel's victory was short lived however. Chessie cat was ready and waiting in ambush. Once the squirrel was sufficiently stunned, I managed to get it away from the victorious cat, and tossed it out the front door. 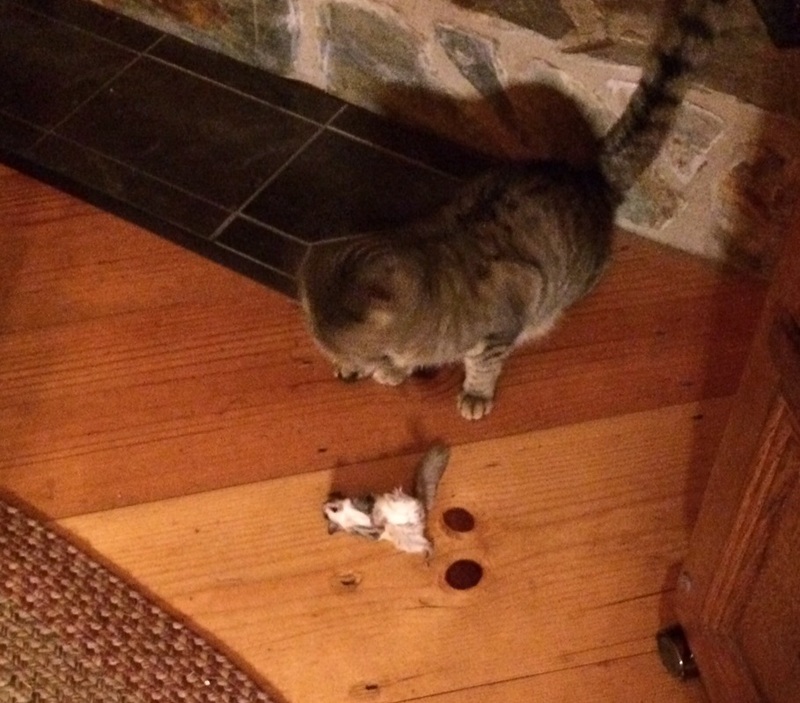 Chessie got a sampling of Friskie's "Party Mix" cat treats as a bounty for his catch, and being willing to surrender it without blooding the floor. .
Update: It now appears police consider the former suspect "of Morocan origin" to be a witness. Most U.S. so-called "mainstream media" and bunches of social justice warriors are up in arms regarding Trump's U.S. entry ban for people seven Middle East region counties. Why those 7 countries? Trump's relying on determinations made by Obama's DHS/State last yr that they have "repeatedly" supported terror. By the way, Trump's not the first president to temporarily halt refugee resettlement programs. Other presidents have done it. Obama and Obamacare made part-time prime. But anticipating a more pro-business environment under Trump, it appears some employers are re-emphasizing full time workers. Kroger among the latest to announce a round of full time hiring, says here. The political Left is spending untold amounts of cash and political capital now in an attempt to smear Donald Trump, to cast is presidency as illegitimate. Eighteen months from now, how many Democrats will wish the party and its donors were funding midterm political campaigns with the money now being squandered on mass marches with anarchistic overtones fronted by potty mouth has-been celebs? The political left has taken its insanity so far, it's sometimes hard to tell which ones on social media are serious... and which ones are spoofing us. 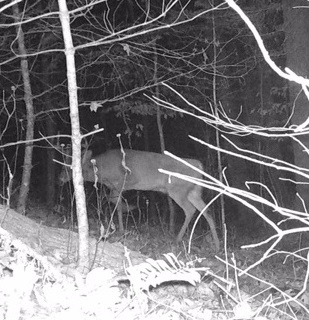 Have had a trail cam about a hundred feet (maybe a little more) out back below the cabin for the past few days. Over summer, we had a bear who wandered by with some regularity. 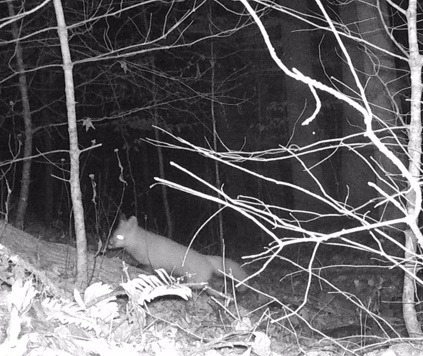 So far, the bear's not strolled by to have his picture taken. Black lefties hate it when other black folk visit with Trump. CNN's Marc Lamont Hill says they're not smart enough to meet with Trump on their own, they should be chaperoned by progressive policy experts. Hill rips some of those siding with Trump as "mediocre Negroes." Ever hear a CNN commentator lecture anti-Trump celebs they'd best be chaperoned by policy experts before opening their mouths? But black celebs aren't smart enough to comment without first checking with experts? CNN comes off more than a little racist on this one. Or maybe it's just that today's CNN would rather go viral than be credible. It seems panicked celeb Democrats continue, even escalate, the promotion of mass hysteria over the pending Trump presidency. Democrat Congressman John Lewis says he'll boycott Donald Trump's inauguration as president on Friday. Lewis says he doesn't consider Trump a legitimate president. Other Democrats now say they'll join the boycott after Trump responded with a swipe at Lewis after Lewis threw the first proverbial punch. Of course, many in the anti-Trump progressive media love the stunt. But it's apparently not the precedent-breaking move some make it out to be. According to Reason.com, quoting from the Washington Post of January 21, 2001, John Lewis along with some members of the Congressional Black Caucus also boycotted the inauguration of George W. Bush. Turns out, Congressman Lewis didn't care much for John McCain either when McCain ran for president in 2008. Democrats hail Lewis as a civil rights icon, citing his participation and injury in the 1965 activist march on the bridge in Selma. But what's Lewis done since? He's been a member of Congress for 30 years, yet has initiated only about 17 bills, most got passed in some form, there may be a couple that didn't. Many of those bills have dealt with stuff like naming courthouses or other government buildings, or supplying financial support for a handful of civil rights museums. Guys like Lewis love to stir things up with protests, but are they really whipping up any new support for anti-Trump sentiment? Or are does this present rash of inauguration protests actually do deep damage to America's national fabric? Piers Morgan, a Brit and a liberal, thinks it does. If not, here's one you can take a gander at. Armed passer-by comes to the aid of a wounded law enforcement officer. What would have been the trooper's fate had the passer-by not stopped, had the passer-by not been armed? Is Paris blood on Holder's hands? Watch here as a gun store guy drops a would-be armed robber. It's one thing to be armed. But it's something else to be armed, proficient, and able to act on less than a moment's notice. Drove down the mountain today. Looked as if someone put salt down on the steepest part of the narrow, twisty access road, and the drive down was easy. Would not have done it with a two-wheel drive vehicle. Drove around a bit, main roads were no problem, but bridges on side roads were paved in ice. 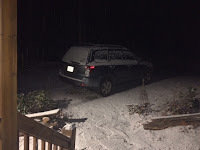 Getting back up the mountain to my cabin was a little tougher than getting down, but not scary using the AWD Subaru. That said, I'm in for the night. Now that the sun's down, some melting snow will refreeze as ice. I may get out again tomorrow. I may wait another day. There are things that need doing that require getting out. But I'd rather do them when temps get back above freezing. Among the best things about mountain living is how laid back it can be. The core of the Democratic Party and its top social justice warrior allies vow obstruction of the upcoming Trump presidency. But will they be any more successful than the Republicans who thought themselves sure to best Trump in the Republican primaries... or fare any better than the sure-to-win Clinton campaign? Don Dickinson calls my attention to something called OODA. Whether he consciously knows it or not, Trump is doing what is called getting inside the enemy's OODA Loop. 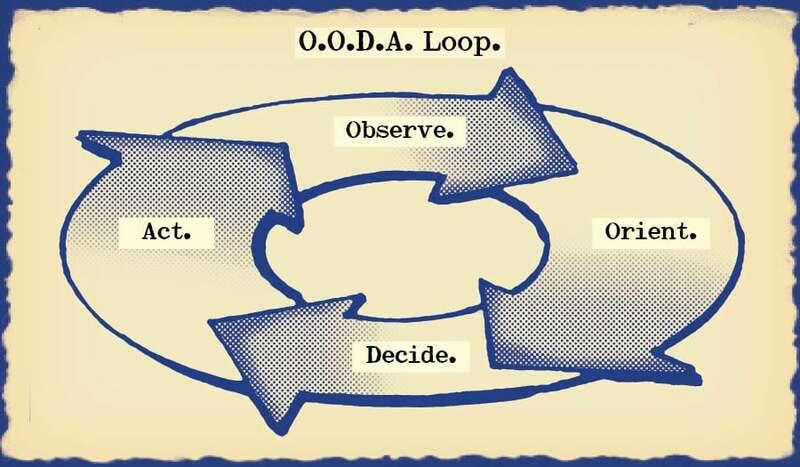 The OODA Loop was first described by COL John Boyd an USAF fighter pilot and military philosopher. 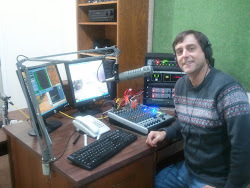 If you are not familiar with him and his work, it has extensive coverage on the web. Their are more elaborate versions of the loop than the simple one that Boyd first promulgated. 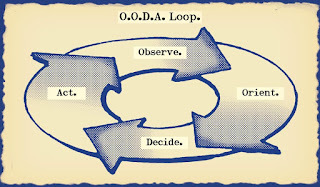 The complex versions add nothing and detract in the sense that the whole idea of the OODA Loop is to be so fast that you go around more quickly than your enemy--getting inside his loop--and are taking new actions before your enemy has responded adequately to your actions. The problem for the never Trump reps, the dems, and and the left in general is that by seizing Twitter as a response mechanism, Trump's ideas go directly from his mind to the people. This makes it impossible for the enemy to get inside his loop. The enemy is doomed to responding to his initiatives. This is a big deal because the media and the left long ago gained what they thought was permanent control of the national agenda. "Well, President Bush, how long have you been a racist, sexist, Islamaphobe?" Thus trapping their target in responding to their bogus but destructive agenda. Of course, Bush was such an idiot that he did not respond at all which gave his enemies total control of the message. Under this assessment, even Trump's most seemingly trivial Tweets may play part in keeping adversaries on defensive, forcing them to spend time and resources choosing which to respond to, which to ignore, keeping them forever on the defensive. Look for Don and I to discuss Trump and his seemingly use of OODA on our Friday, January 13th, webcast. 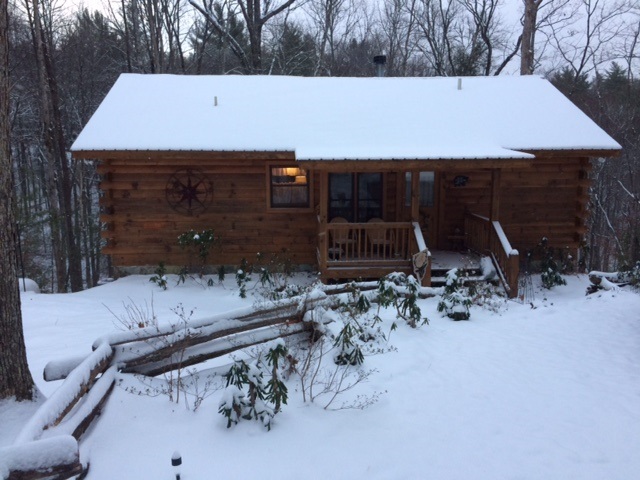 About three inches of snow. Wind chill in single digits. I'm just gonna sit tight, keep a fire going, and enjoy. A couple hours ago, I had a choice. Move the car down the mountain, or risk being stuck on the mountain for a few days. The road is up-and-down is narrow, and steep, and with significant drop off. I could have parked my car below, walked up the mountain, and been able to walk up and down, and been able drive off on more navigable roads to run errands. Bunch o' the neighbors did so. I left my car just outside the cabin. 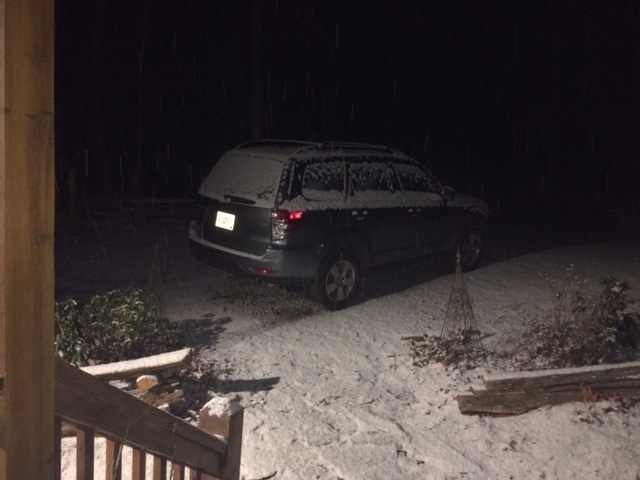 And the snow's now falling. With sub-freezing temps expected to be continuous for the next several days, and snow accumulation forming, I may be locked in place for a while. Jobs coming back to America. Is American media upset? American companies have begun returning good paying, middle class, union jobs to America. And media elites do their best to twist it as something bad, trying to spin it as "crony capitalism."